This is my first posting in a Winbuilder forum, and hopefully I am using the correct forum for this issue. I have Dell XP CDs, but Winbuilder doesn't appear to like the Dell XP CDs, and I have a custom updated XP DVD of my own...that doesn't work either. Is there any way to work w/ the 2 types of XP media I listed above, or is the only option try to find an orginal CD/DVD from Microsoft? IN which EXACT way doesn't Winbuilder "like" the Dell CD's? This is a screen shot of the Winbuilder log, and you should see the message that Dell source CDs are known for problems. 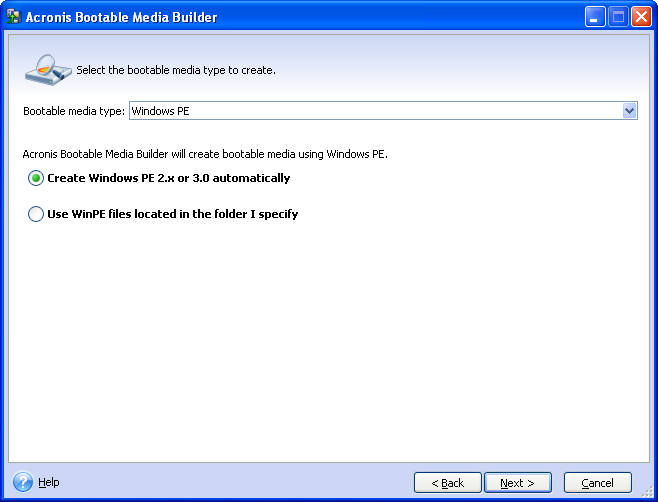 Looking over the link do you have to use PEbuidler or BartPE instead of Winbuilder? No, it is a "generic fix", the transformation is from "crappy Dell CD" to "less crappy - actually good as standard one - CD". Whether the LiveXP script (it is not "Winbuilder" - which is just the command processor - but rather the LiveXP script that makes those log entries) will still detect such a disk as "crappy Dell" even after the "fix", cannot say. Would it matter if you get the genuine XP from Microsoft if it’s XP Home or Professional? Reading over the notes SP 2 is mentioned. Do I have to find an XP that has SP2 integrated but nothing higher than SP2? Again, I’m a severe beginner at this, but you use Winbuilder along w/ something else to complete the Mini XP? I was thinking Winbuilder would do it all for you. Would you say winPE is easier than Mini XP? I do believe Mini XP has a lot of capabilities and would like to see what I can get going. Naah, both Home and Pro should do. Integrating SP2 to the source (if earlier) is normally a good idea. Most people will have it integrating SP3 but AFAIK there is not really such a need to build a PE. There is NO Winbuilder project called "Mini XP", maybe you are talking of the project "LiveXP". There exists no (buildable) WinPE 1.x. I get MiniXP from Hiren’s boot CD mixed up w/ LiveXP. Is miniXP from Hiren’s boot CD legal? I’d think LiveXP is legal as long as you have a legit XP CD, is it legal? The only source I have at this point is the Dell XP SP2, and I haven’t tried what was on the link you sent me yet. Do you think this would be a whole lot easier if I had an actual XP SP2 from Microsoft instead of using a CD from a manufacturer such as Dell? Is this a screen you're supposed to see in the attachment I've included when you start winbuilder? I'm doing al all of this on a PC that has windows 7 installed. i suppose you don't have to do all this in a PC that has XP on it? I get MiniXP from Hiren’s boot CD mixed up w/ LiveXP. Is miniXP from Hiren’s boot CD legal? IMNSHO, not only it is not "legal" but it is also "morally wrong". I’d think LiveXP is legal as long as you have a legit XP CD, is it legal? Not really-really, it is legal as long as you have a valid license and abide to it's requirements. Well, then first try, then - within limits - you will be allowed to whine if it fails. Sure, as well if you get someone to do the building for you it would be even easier. Q. Is it easier to use a hammer than a stone to plant nails in a plank? A. Yes, the hammer is a basic tool that has been designed to plant nails, stones were designed to roll down hills. Q. Is it easier to steal a hammer than to go and buy one? A. Yes, and it also costs less. Q. But can I make a hammer from a block of steel and a piece of wood I already have? Q. I haven't tried that, but wouldn't it be easier to make a hammer by assemblong a hammer head and and a hammer handle? A. Yes, what kind of question is this? I loved my OEM Dell Windows XP SP2, it served me well for many a year, and I bought many a Dell... but alas, humpty dumpty pieces cannot be put back together again. I meant if I have an actual Microsoft XP SP 2 DVD I would think I don't have to worry about the fix for a Dell DVD that I'm trying. I know it'd be a lot easier if somene did it for me, and I know I have a lot to learn, but I have to start somewhere. I know there are 2 versions of XP: the upgrade & the full. Do you have to buy the full version or do you think the upgrade would work? Try both and see which one works better? Really, I don't get it. You do ALREADY have a DELL XP CD, a good 1/20th (completely invented number) of the people that ever built a PE 1.x have built it from a DELL XP CD, this is so common that a "fix" for them has been specifically developed, why don't you simply TRY doing the same? At the most you will have lost 10 (ten minutes) of your time which won't be anyway wasted as they will be 10 more minutes familiarizing with the procedures commonly used when building a PE 1.x. Just for the record, the files listed by sfinktah have actually NO meaning for building a "normal" PE 1.x, the first 5 being UNneeded, and the last three being easily created "from thin air" with a sophisticated tool such as Notepad. Oh, so he wants to build a WinPE image! Well, now that I actually know what all this is about, I have a way that you can do EXACTLY THAT, using fully commercial software and not break any copyright law. You will need something that can play VHDs, I think you can get that for free. Something like Virtual PC... I use VMware myself, so I can't be exact... I'm sure someone who knows more about VHDs than me can populate this part. Unpack and run VHD to have an instant Windows environment. The password is "Password1"
Install Microsoft Core XML (MSXML) 5.0 or 6.0 Parser from this kit. 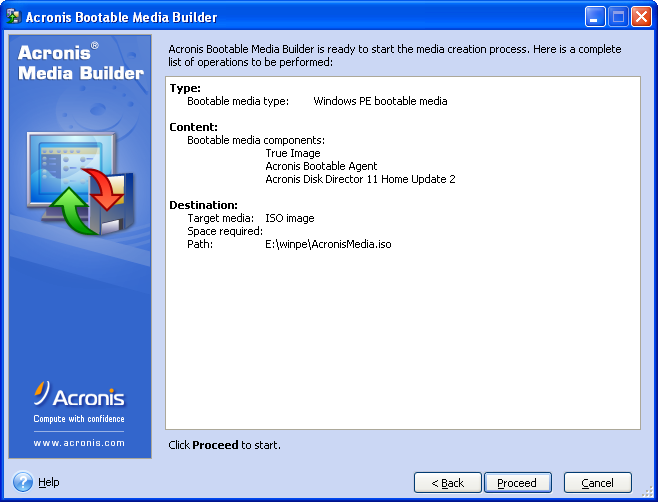 Install Windows AIK from this kit. Hit Next, and select any additional drivers you want added to your Windows PE, then Next again. Select ISO or WIM output format, name it, and you're done. Enjoy your new XP/Vista Win PE ISO. What was just posted has NOTHING to do with XP and with PE 1.x, the linked to is the Vista AIK, and besides the fact that there are much better builders/projects available than the Acronis crappy environment, the result will be a PE 2.x (Vista based). acronis is just a means to an end. it builds the initial (standard) winpe environment and adds drivers for you. for dummies, or lazy people, it's super awesome if you just wanted a vanilla winpe... you can obvious add whatever you want later.